The Alumni Spotlight is an interview series where we interview Asia Studies alumni about their career paths, how they became interested in Asian Studies and for any advice that would be useful to our students. This interview features Jennifer Ward, BA ’12. Ward is currently self-employed as a freelance Japanese to English translator. What sparked your interest in Asian Studies? I’ve been into Japanese video games, anime and manga for a very long time, so if I must point fingers, it was either watching my brother play Final Fantasy IV on the SNES, or a fansubbed VHS tape of Nausicaa of the Valley of Wind at the age of ten. I knew since the age of fifteen or so that, like many young weeaboos, I wanted to study Japanese and go to Japan. Unlike most, I simply actually followed through with that. I began teaching myself Japanese in high school with books borrowed from the library, but only got through the bare basics on my own. I didn’t really get serious until I started at UBC. As a student, how valuable did you think an Asian Studies degree would be? How do you view the value of your degree now? I actually assumed it was going to be useless. I was doing the degree purely out of passion and not out of any desire to get a job. I initially was really not thinking ahead that far. I didn’t even want a degree; I was trying to figure out how to game the system so that I could just take Japanese language classes and not bother with any other credits. I wanted to learn Japanese, not get a degree. Eventually I dropped that idea and ended up with a double-major in English with half-baked ideas of becoming an English teacher (a real one, not just teaching English in Asia) because I assumed I was unemployable with an Asian Studies degree. Now, I think my degree is just a piece of paper. It helped me get into the Jet Programme, and that’s about it. You don’t need a degree to be a translator, and half the translators I know don’t have degrees in Asian Studies or Japanese. The skills I learned in the Japanese classes were valuable, though, and I enjoyed the breadth classes I took, just because I learned things I wouldn’t have otherwise. Education is just one path you can take. But not the only path by any means. In what ways did your goals or plans change during your studies or once you had started your career? As I said above, I went into school with no career goals and then came up with a half-baked idea of becoming an English teacher and then abandoned it. I went on the Jet Programme after that purely because it was an avenue with which to go back to Japan, not because I saw it as a career anything. I bailed on the Jet Programme after a year because I hated the job and came back to work at a coffee shop because I actually enjoyed working at a coffee shop more than I enjoyed the Jet Programme. I had another half-baked idea of starting freelance translating while I was working as a barista. I honestly assumed I’d end up translating rice cooker manuals or something, but by chance (a Craigslist ad for a translation agency), I happened to land a manga gig. I’d always wanted to translate manga, but I’d always assumed it was an impossible, pie-in-the-sky dream. Once I realized it was a possibility, I quickly threw all my chips onto that career path, because hey, it paid better than being a barista. How did you get your first “adult” job after graduating? What surprised or challenged you? I went on the Jet Programme immediately after graduating, but I really don’t think it counts as a real job. It’s a glorified exchange program, really. You can Google up how to apply for it online. My first real job was translating manga for an agency for an abysmally low rate. I responded to the agency’s ad on Craiglist. I was surprised that the ad turned out not to be a scam, honestly. I translated an obscure (and very strange) manga called Candy Samurai Wars from a now-defunct website. I believe the manga was discontinued. The most challenging thing early on with freelance translating was being glued to my phone all the time to respond to emails quickly. I literally bought my first smart phone for the job. Being on the job 24/7, evenings and weekends included, really stressed me out. Now my phone is an extension of my body, and I’m not sure if that’s a good or bad thing. Are there opportunities for recent graduates in your industry? What does a typical entry-level position entail, and how can graduates market their degree for these positions? There are lots of opportunities in translation if you have the skills (most fresh grads do not) and are good at self-management. In-house positions are less common and more coveted and require leaving Canada. If you want to stay in Canada, you have to freelance. Typical entry-level positions in freelance translating entail being paid less than minimum wage (which is legal because you are paid by the word or page) working for an agency that does not respect your time and wants things done on the time zone of an Asian country, despite the fact that you’re living in Canada. You will not have enough work to be full time for at least six months to a year. There is zero job security, no benefits. It’s frankly marginally better than working at Starbucks. However, with time, skills, and persistence, you can work your way up to making good money. Experienced technical translators can make six figures. And self-employment is very fulfilling, even when you’re barely scraping by. Your degree means nothing. Take language proficiency tests and put that on your resume. Also, don’t claim to be bilingual if you aren’t really. How has learning an Asian language helped you succeed in your professional/personal endeavors? Well, being a translator, I think that’s self-explanatory. 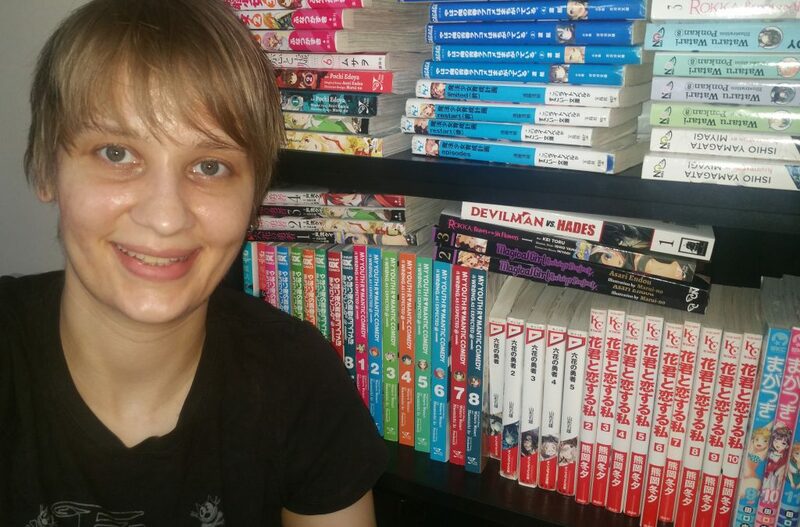 I got my dream job as a professional otaku, and I love the freedom and control of self-employment. Learning Japanese has also gotten me friends, and I still visit Japan as often as I can (and obviously knowing Japanese facilitates that). I still read manga in Japanese every day and I surf the Japanese web regularly. Even if I’d never gotten the job, I’d still have gotten a lot of personal fulfillment out of this skill.